Our custom-built technology to support your weight loss success. The BMI Clinic recognises that the use of technology is an integral component to weight loss, and our programs make extensive use of technology to provide exceptional and proactive patient management. 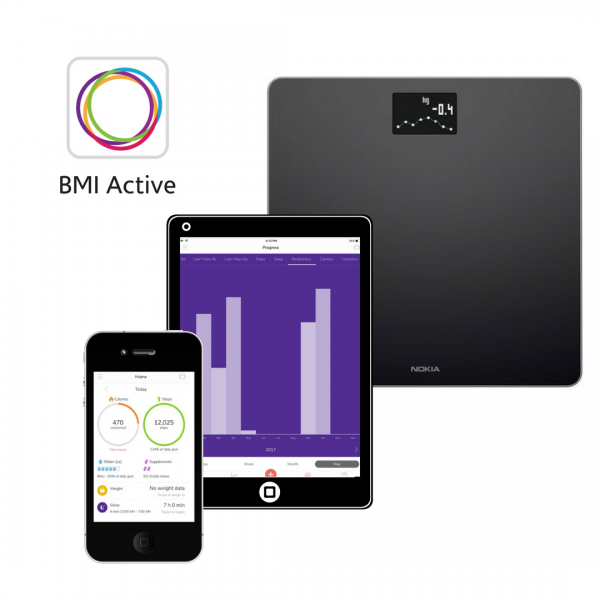 BMI has developed a proprietary, state-of-the-art electronic medical record and patient management system integrated with Wifi-enabled Smart Scales. All of our weight loss programs can incorporate web-enabled scales so that we can proactively manage your weight loss journey between meetings with our specialist staff. Our doctors, nurses and dietitians monitor your weight loss in real time, giving us the flexibility to provide tailored advice at every step. Our custom patient app, is now available on the App Store and Google Play (and will be launched soon!). BMI Active will enable patients to manage their appointments, track their food intake, exercise and sleep, and communicate with their care team in a convenient on-the-go format. We also utilise superior testing techniques, such as DEXA body composition scans and metabolic testing (via indirect calorimetry), to gain a greater understanding of the physical and metabolic changes taking place as you lose weight. This enables us to provide a greater level of tailored advice, to get you to your goal sooner.